Many movies which perform poorly at the cinema often find a second life upon home release, ultimately becoming recognised as classics by appreciative audiences who missed them the first time around. Donnie Darko, for example, has a rather sizable cult fandom despite flopping during its initial theatrical run. The legend of Blade Runner grows each time a new version of the film is released for home consumption. And, if there's any justice in the world, then Me and Earl and the Dying Girl should grow to become understood as one of the truly great features made in the last decade. Perhaps audiences, jaded by the contrived kookiness of a certain breed of faux-indie quirk-fests inspired by Little Miss Sunshine and their ilk, misunderstood the intentions of Alfonso Gomez-Rejon's sincere tale? Perhaps they thought this was a spiritual successor to Garden State rather than, for example, the brave and the bold Harold and Maude, Say Anything... or Juno? If this is indeed the case then I implore everybody who has seen and loved the film as much as I to sing its praises to everyone you know and meet. From disinterested door-to-door salesmen to cold callers or charity collectors - recommend this film! This is a truly special, wonderful movie which deserves to be seen by as wide an audience as possible. The tale introduces us to Greg (Thomas Mann) and Earl (RJ Clyer), an unlikely pairing of allies bonded by their shared love of films. They watch and vicariously ponder movies which could not be further from reflecting their routine teenage existence on-screen: Werner Herzog's epic philosophical adventures and Stanley Kubrick's uber-violence flicker and inspire the pair to make their own parody films based on the expansive array of auteur cinema they study. This is their escapism from a humdrum life which Greg is happy to simply endure for the most part. Enter Rachel (Olivia Cooke), a girl in Greg's year at school who has been diagnosed with cancer, and everything changes - albeit not for the heroic reasons one may expect. It is not a sense of duty to a lonesome and scared young woman which inspires our protagonist to first visit his ill colleague but, rather, the fact his mother had cajoled him to do so. That he is honest about his intentions is refreshing to Rachel who, unexpectedly, forms a friendship with Greg even if he won't admit it - for our would-be hero the term "friend" is one he wholeheartedly avoids due to a fear of rejection. Yet, as with all good relationships, Greg and Rachel learn from each other and grow. 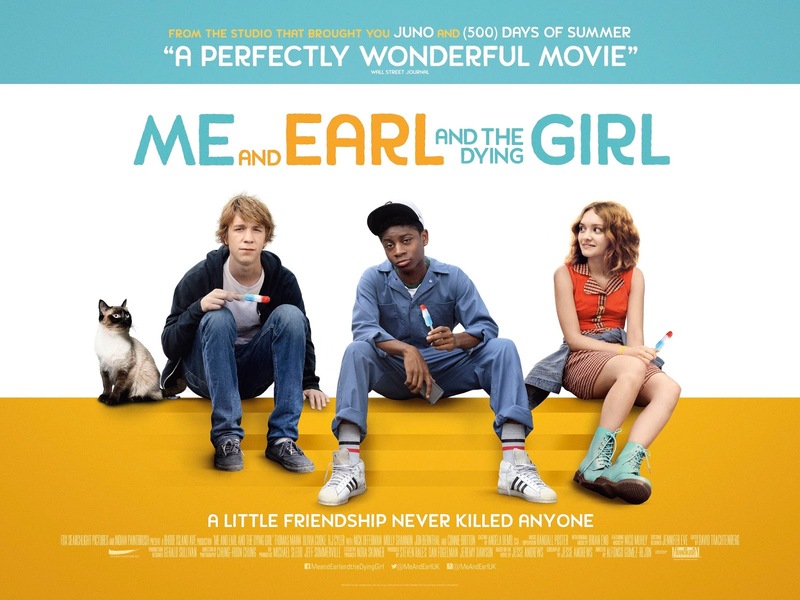 As her time runs out, Greg is convinced to make one last gift for her - a movie created by himself and Earl. Can he finally learn to express himself in the manner most suited to an eloquent tribute? Or does the talent he and Earl share stretch no further than short lampoons with titles such as A Sockwork Orange or 2:48 PM Cowboy? This is not a love story, per se, but very much a film about how another soul can inspire you to become the best version of yourself that you can possibly be, to be brave, to be earnest and maybe, just maybe, to be brilliant. Yet, Gomez-Rejon's film understands, it doesn't matter if we fail to always, and exclusively, be impeccable - its that we try. We can spend our whole lives hiding in plain-sight and we can use irony and sarcasm as deflective tools because we're scared of people seeing who we are, of letting anyone in. Yet, it must be remembered, a shield is a two way weapon. To be protected from hurt, is to create a barrier from compassion. It is bravery which rewards us with love and it is bravery which grants us the gift of being loved. This plea to honesty and earnesty, this plea to love, is very much the opposite to the emotional cowardice we witness in the aforementioned insincerity of Little Miss Sunshine and all its peers. This is a very different movie and one which should be celebrated for its integrity and bravery. 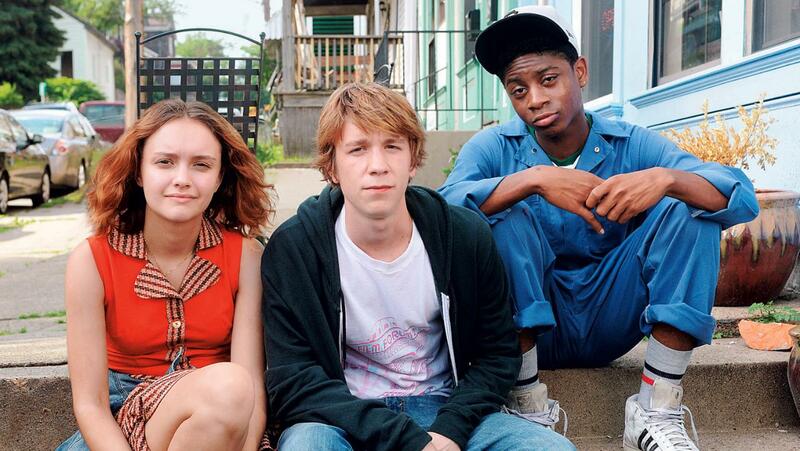 In a world of films about nothing, or post-modern movies afraid to express emotions or ideas, Me and Earl and the Dying Girl is, in its own way, quietly revolutionary. This is a story which, to paraphrase Lloyd Dobler, dares us to be great. We should each take the opportunity whilst we can and spread the message too to all who will listen.